Welcome to New Board President Jen Barber! We’d like to welcome Jennifer Barber, MPH, as the incoming TeenNow California Board President (Jan 1, 2013-2015). 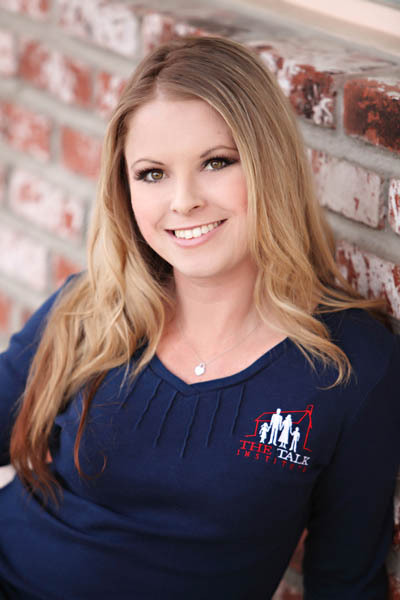 Jennifer is currently Executive Director & Founder of The Talk Institute and works part-time as the Adolescent Health Coordinator for Borrego Health in the Coachella Valley. Jennifer has been a board member in multiple regions of California for TNCA for 8 years. She has worked with several youth development agencies over her career including: Camp Fire USA, Girl Scouts of America, and Big Brothers, Big Sisters. She has also taught as a professor for many years at two local colleges, been a substitute teacher for her local school district, and is a master trainer and sexuality expert. She brings with her an entrepreneurial spirit, infectious passion, and a clear vision of our core values as an organization. We are honored to have her lead TeenNow California! TeenNow California Board President Brian Hayes has completed his term and is leaving the board (and California!) to be closer to family and to continue his career in sexuality education on the East Coast. Some TNCA highlights for Brian include, “Being able to meet people from all over the state who are just as passionate about this work as me. It never ceases to amaze me how many people share my love for helping young people make positive decisions with their lives.” Brian says, “I will be taking so much from my experience with TNCA. From planning large scale conference, to speaking with Government officials, there is so much that TNCA has given to me. I have gained valuable experience on running collaboratives, on organizing advocacy campaigns, and even running confernce calls and online trainings.” We’ll miss Brian terribly and wish him the best of luck in his endeavors! Scholarships for expectant and parenting students are awarded by region. A $300 Regional Scholarship Award will be given to a senior in each of the 8 TeenNow regions. Each regional applicant will then compete for the STATE Scholarship of an additional $500. One $500 scholarship is available for teens in leadership roles in adolescent health. Also, please remember that we can’t offer these scholarships without your support. We are in the middle of a fundraising drive to support our scholarship program. For more information about the scholarship program, and to donate, please click here. EACH APPLICANT MUST BE SPONSORED BY A CURRENT TEENNOW CALIFORNIA MEMBER. If you with to sponsor and are not sure whether you are a current member, please contact tnca@teennowcalifornia.org to check our membership records. Any applicant who does not have a current member as a sponsor will be disqualified. To become a sponsor in your area or find a sponsor in your region, contact us at tnca@teennowcalifornia.org. To become a member click here. EACH APPLICANT MUST BE SPONSORED BY A CURRENT TEENNOW CALIFORNIA MEMBER. If your sponsor is not sure whether they are a current member, please contact tnca@teennowcalifornia.org to check our membership records. Any applicant who does not have a current member as a sponsor will be disqualified. To become a sponsor in your area or find a sponsor in your region, contact us at tnca@teennowcalifornia.org. To become a member click here. Each month on the blog we have featured one of the winning essays from the TeenNow California 2012 Scholarships for pregnant and parenting teens throughout California. The essays are simultaneously inspiring and heartbreaking; each lends insight into trials of adolescent childbearing and the need for continued support for young families. This month is the final installment for the series, as we had 7 winners this year. This month’s featured essay by Yureni Garcia was the Region 8 winner, earning the student $300 towards her education. Garcia plans to study at Palomar College in San Marcos this fall. We wish her the best of luck!! Thank you to TeenNow member Janet Stoddard for sponsoring. Each month on the blog we will feature one of the eight winning essays from the TeenNow California 2012 Scholarships for pregnant and parenting teens throughout California. The essays are simultaneously inspiring and heartbreaking; each lends insight into trials of adolescent childbearing and the need for continued support for young families. This month’s featured essay by Jakari Peet was the Region 7 winner, earning the student $300 towards her education. Peet plans to study at San Bernardino Valley College this fall. We wish her the best of luck!! Thank you to TeenNow member Stephanie Downing-Cornwell for sponsoring. Each month on the blog we will feature one of the eight winning essays from the TeenNow California 2012 Scholarships for pregnant and parenting teens throughout California. The essays are simultaneously inspiring and heartbreaking; each lends insight into trials of adolescent childbearing and the need for continued support for young families. This month’s featured essay by Nancy Gutierrez was the Region 6 winner, earning the student $300 towards her education. Gutierrez plans to study at Mt. San Antonio College in Walnut, CA this fall. We wish her the best of luck!! Thank you to TeenNow member Elena Luna for sponsoring.